We have been having some computer issues over the past week, so I haven’t been posting our work as often as normal. 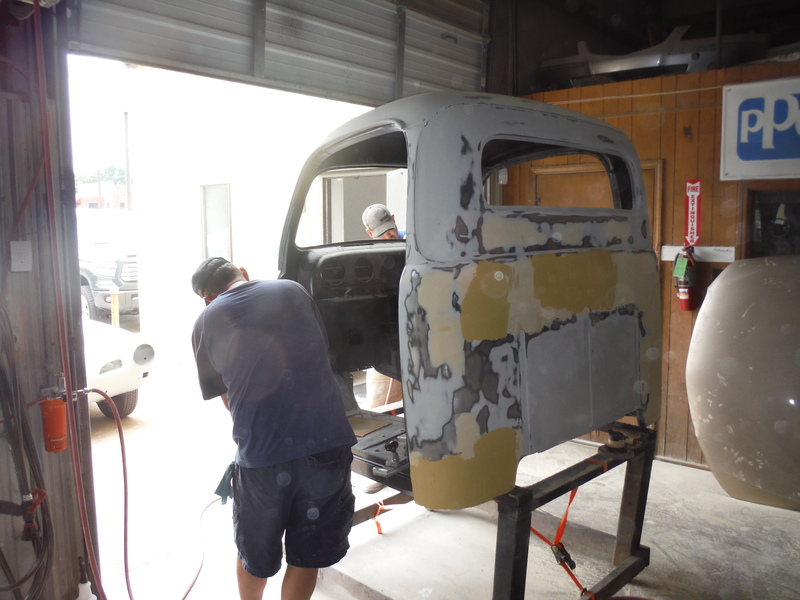 We did work on the the ’52 cab some last week and today as well. The body work is moving along nicely. 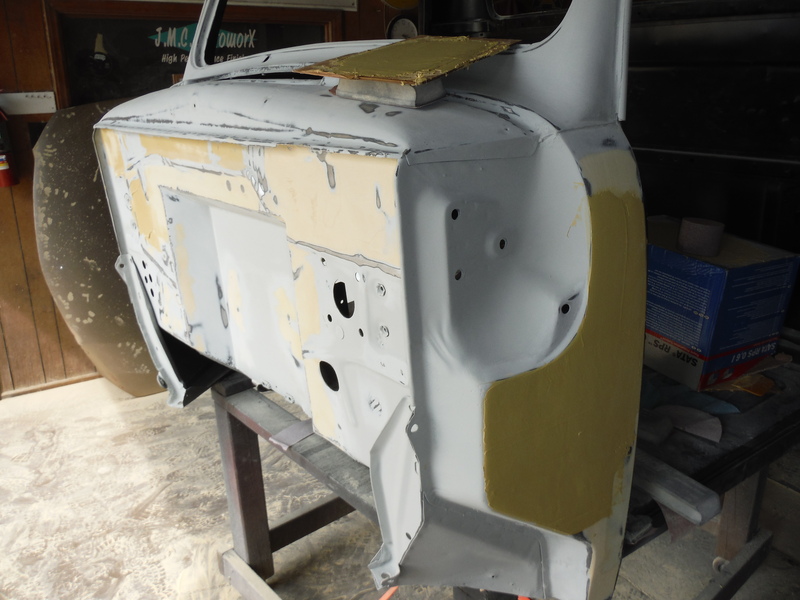 The outside is pretty close, maybe another day or so, and then a few hours on the dash, and this one is ready for more primer. Here you can see Chris working the firewall. Paul and I worked the back of the cab while Rick worked the left fender mounting panel. A good amount accomplished today. 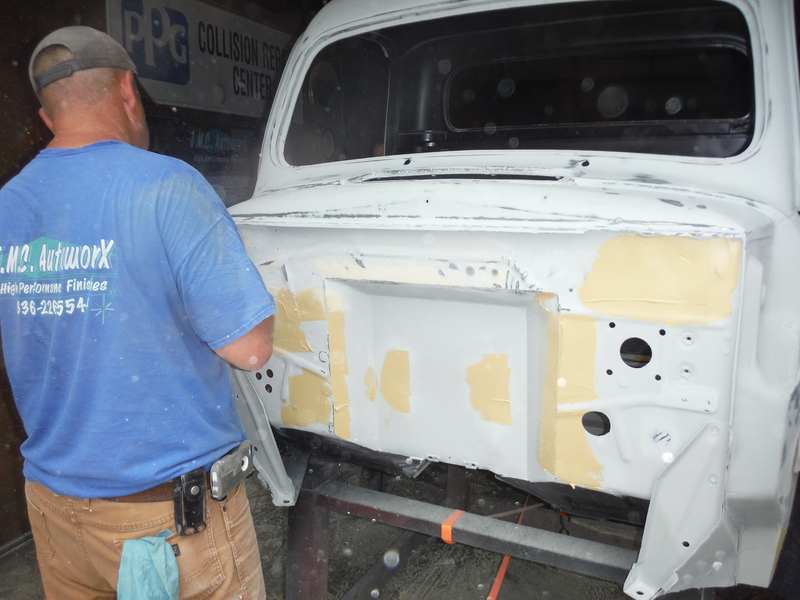 Posted on July 27, 2015, in 1952 Ford Truck, High Performance Finishes and tagged 1952 Ford Truck, auto body repair, auto body shop, auto paint, Blocking, Body Filler, body shop, body work, epoxy primer, Ford truck, High Performance Finish, Jmc Autoworx, Paint, paint shop, PPG Paint, primer. Bookmark the permalink. Leave a comment.